As of 30 March 2015 airberlin will be doubling the number of flights from Berlin to Bucharest. 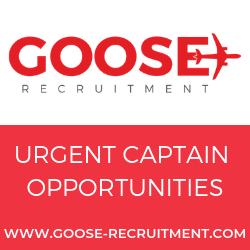 The airline will then have two daily non-stop flights to the Romanian capital, offering 13 new connecting destinations to and from Bucharest. “Eastern Europe is an important growth market for airberlin. This additional daily frequency allows us to extend our offer for travellers to and from Bucharest. Thirteen new connections – including Madrid, Palma de Mallorca, Venice, Gdansk and Chicago – will be available. 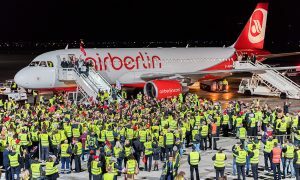 These additional flights will also allow us to provide business travellers with even greater flexibility when planning their schedules,” said Mohammed Nasr, Eastern Europe Area Manager at airberlin. The new flight AB8272 will take off on 30 March 2015 at 21:35 from Berlin and arrive at 00:40 in Bucharest. Flight AB8270 will additionally remain on offer, leaving at 9:45 from Berlin and arriving at 12:50 in Bucharest. From Bucharest, the new daily airberlin flight AB8273 will leave at 6:30 and arrive in Berlin at 7:35. Flight AB8271, which takes off at 13:10, arrives in Berlin at 14:15. Starting 30 March 2015, the new non-stop connections will be: Madrid, Palma, Malaga, Alicante, Tenerife South Airport, Ibiza and Fuerteventura, Olbia, Venice, Kaliningrad, Gdansk and Sylt. 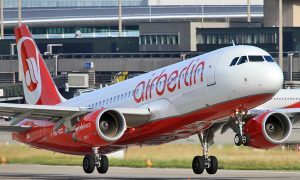 This new flight will allow airberlin to offer a daily connection for the first time to a new long-haul destination: Chicago. 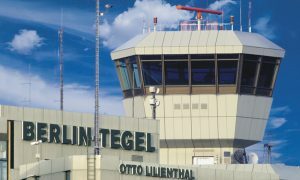 What is more, connections will be available to and from other German and European destinations as well as to and from Russia, New York City and Abu Dhabi. This added flight will allow passengers to reach more destinations in the Middle East, Asia, Australia and Africa via Abu Dhabi. Furthermore, transfer times with connecting flights will be reduced.